We’d love your help. Let us know what’s wrong with this preview of Colores Everywhere! by San Antonio Museum of Art. What better way to learn colors than with eye-catching works of art? With art from across Latin America and beyond, children will become armchair world travelers and art connoisseurs. This bilingual edition introduces early readers, and earlier listeners, to colors in both English and Spanish. One in the series of bilingual board books called Arte Kids that also includes 1, What better way to learn colors than with eye-catching works of art? With art from across Latin America and beyond, children will become armchair world travelers and art connoisseurs. 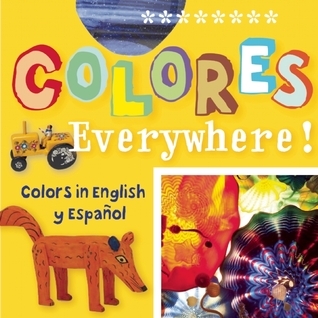 This bilingual edition introduces early readers, and earlier listeners, to colors in both English and Spanish. One in the series of bilingual board books called Arte Kids that also includes 1, 2, 3, Si! (an artistic exploration of numbers) and Hello Círculos! (featuring shapes in the arts). To ask other readers questions about Colores Everywhere!, please sign up. Be the first to ask a question about Colores Everywhere! You can tell a lot of love went into creating this little board book. The art featured within is gorgeous and I loved the way the text and pictures interacted. Very, very cool. I may stick this one on a list to buy my own little one someday. Awesome book. Won this for my 4yr old goddaughter. BEAUTIFUL pictures. It is a fun and easy way to teach her one part of her herritage (she's Philipino, Hispanic White). I love my little "mutt" and she loved Colores. At least now, she knows her colors in spanish. I make her tell me in spanish the color of the things she wants. It's so cute! Thanks Again! Great children's book. My 2 year old granddaughter loved it. She knows her colors and she knows a lot of them in Spanish also. She loves to watch Dora. But with the book we can show her the words and the colors so she will recognize them by sight also. Thanks for the cute little book. 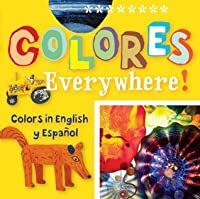 A bilingual preschool concept board book that introduces young students to colors by using art from the San Antonio Museum of Art. This is part of the Arte Kids Board Books. A beautiful bilingual introduction to colors through Latin American art from the collections of the San Antonio Museum of Art.